A continued equity bull market in the Asian nation depends on several important catalysts. A 100% plus return in just 12-months is the type of head turning performance that can attract a crowd. And it has. The Deutsche Harvest CSI 300 China A-Shares ETF (ASHR) has surged 125% over the past year while its small cap cousin the Deutsche Harvest CSI 500 China-A Shares Small Cap ETF (ASHS) has jumped 150%. Neither ASHR nor ASHS uses leverage to magnify performance. When ASHR was first launched in November 2013, it was a fairly obscure fund with less than $200 million in assets. Since then, ASHR’s asset base has surged seven-fold to around $1.5 billion. Both ASHR and ASHS own Chinese companies that are incorporated in the mainland and are traded in Shanghai or Shenzhen in China’s official currency, the renminbi (or RMB). If China’s equity bull market is to continue, here are some of the catalysts that will drive it. Reams have been written about the influence of central bankers on asset prices. And like other global markets from Japan to the U.S, the Chinese stock market has been the beneficiary of its monetary policy makers. The People’s Bank of China (PBOC), for example, has cut benchmark interest rates three times in the past six months on top of reductions in banks’ reserve requirement ratio. Another boom to Chinese equities is the ongoing relaxation of foreign capital investment by the government. Although China still restricts investments made in A-shares, which trade in Shanghai and Shenzhen, to domestic Chinese investors and Renminbi Qualified Foreign Institutional Investors (RQFII), the recent introduction of U.S. listed ETFs that invest in Chinese A-shares is evidence the Chinese government seems poised to allow more foreign investment. If this liberalization continues, it could pave the way to higher equity prices. China’s $6 trillion onshore A-shares market could be just a few years away from being included in important emerging market benchmarks. And it seems major index providers already understand this. FTSE Group just introduced two new emerging market indexes that now include exposure to China A-shares. “The transition to include A-shares in global portfolios is now beginning, and we will support this transition while ensuring that all users of our global benchmarks have sufficient time to manage the change,” said Mark Makepeace, chief executive of FTSE Russell, in a statement. MSCI, whose global benchmarks have wider usage among fund managers, is expected to make a decision about whether A-shares will be partially included in its lineup of emerging market indexes on June 9. If MSCI follows FTSE’s decision, the A-shares market would have the institutional support it lacks right now. 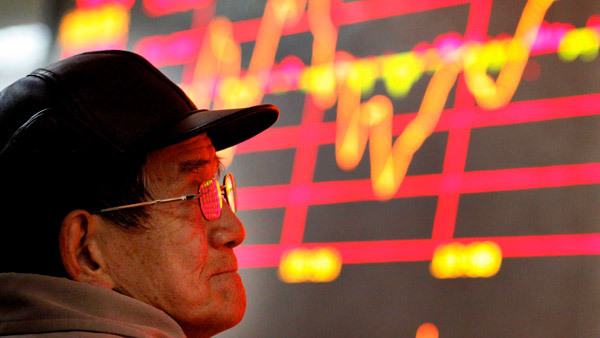 Even without widespread support by global investors, China’s capital markets are growing up. Equity trading volume at the Shanghai and Shenzhen stock exchanges totaled $2.80 trillion and $2.03 trillion respectively in April, making these two markets the biggest in the world that month, according to the World Federation of Exchanges. By comparison, the NYSE had just $1.34 trillion in trading volume during April. Are Chinese stocks too hot to handle? Although the performance run up in A-shares has been impressive, the velocity of the surge over such a short time period is probably not sustainable. As such, a correction would provide a much needed break and could lay the groundwork for new buyers with a longer-term view. Ultimately, the disagreement about whether Chinese stocks are good investment or in a frothy realm is healthy. Watch out whenever there’s a consensus viewpoint that’s in full agreement about the direction or valuation of a market. Thankfully, that doesn’t describe the Chinese stock market. Ron DeLegge is the founder and chief portfolio strategist at ETFguide. Join his next monthly Portfolio Workshop for financial advisors. Attendance is free.